The 6th Marquess started collecting model soldiers as a schoolboy in 1928. He went on to serve in the Royal Dragoons during the Second World War and was awarded the Military Cross. 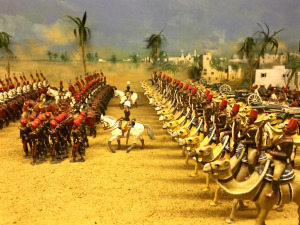 His collection is one of the largest personal collections in the world and there are now some 20,000 models on display as well as an interesting array of assorted militaria, including fine military prints and paintings and a selection of vintage helmets and regimental drums.